DO88 intercoolers are an all aluminium construction which can handle much higher pressure then the OEM intercooler which have plastic tanks that can break or come loose at higher boost levels. 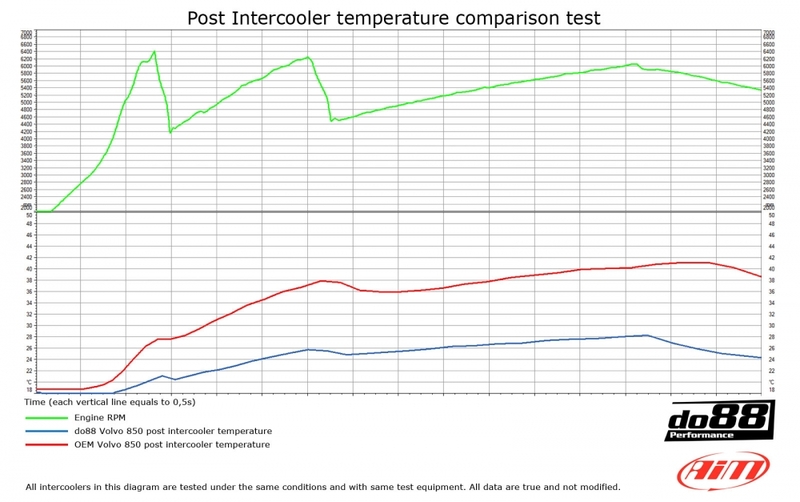 A swap to this intercooler is a terrific upgrade for anybody that has tuned, chip tuned or rebuilt their car where a better intercooler performance is needed! 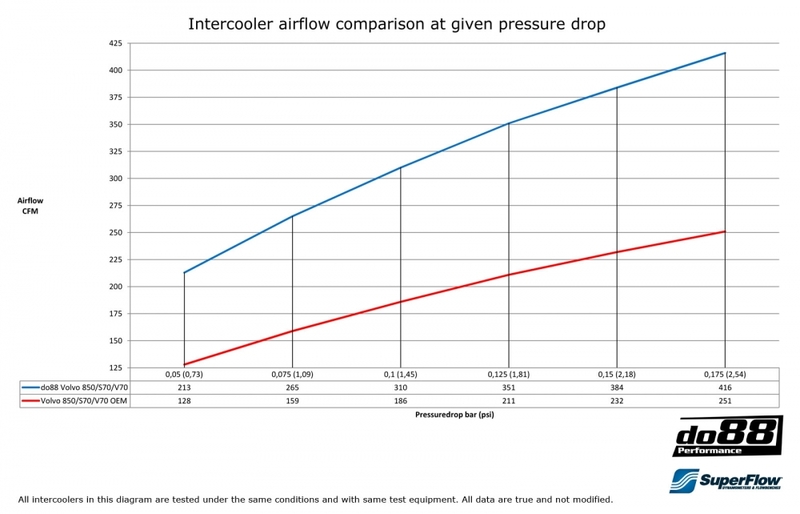 Even at boost pressures just a little over original pressure (i.e with only software upgrade or chip tune) we can see improved cooling and less pressure drop compared to OEM intercooler! 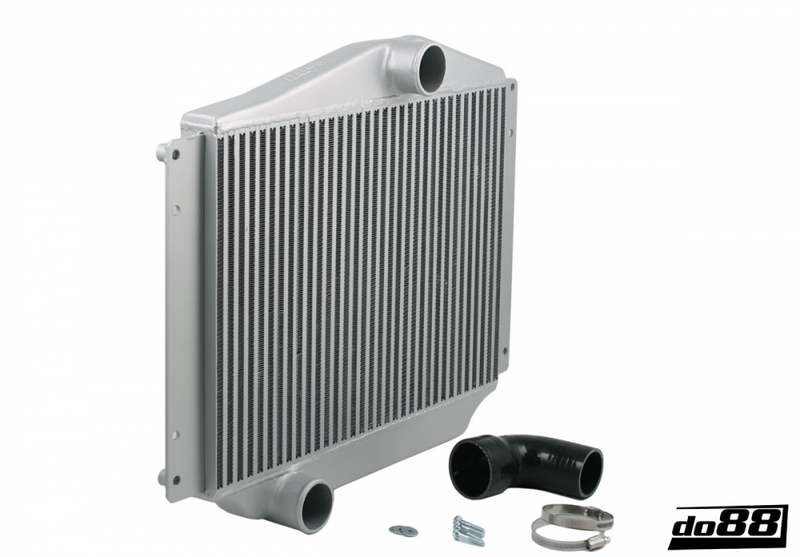 This intercooler is developed to give you the best performance from your car without the need for big modifications of the car. To succeed with this DO88 started from zero and looked at the available space in the car and the position of the inlet/outlet. 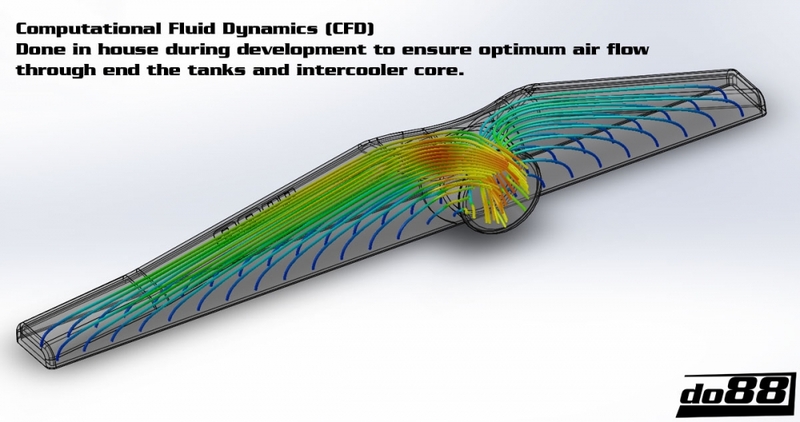 Then DO88 designed the intercooler tanks with CAD software with the aim to design an intercooler with the best possible tank that distributes the airflow over the whole core to maximize cooling and minimize pressure drop. Air conditioning may be retained with this intercooler, as there is approx 2mm clearance to the front panel. Front plastic panel may need to be trimmed and top holes enlarged druing installation. 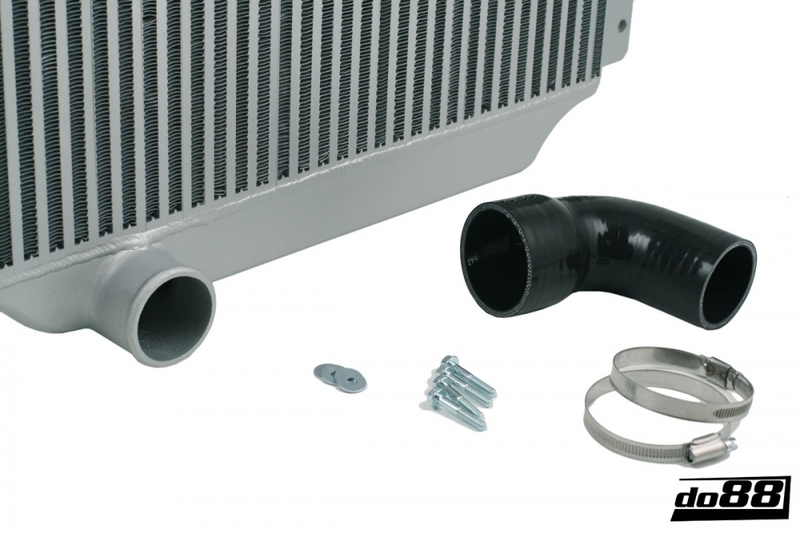 As the intercooler is supplied with a new lower hose, when ordering please select the option for either standard Volvo turbo pipes or the do88 63mm pipe if you already have this fitted.